Errol G. Smith brings to clients extensive experience as both pastor and fundraising professional. He served The United Methodist Church for 40 years in the pastoral ministry, including eight years as Pastor of Lovely Lane Church in Baltimore, the Mother Church of American Methodism. He has led numerous congregations in strategic and long-range planning, as well as annual stewardship development producing more than 200 percent growth in annual giving in the majority of churches served. 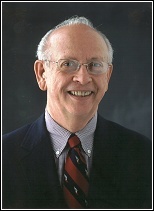 As a pastor he was engaged in significant capital and endowment fundraising and the teaching of fundraising techniques, skills and procedures. He earned a professional certificate as a Fundraising Specialist from Goucher College in Baltimore. Following his career in the pastoral ministry, Dr. Smith served United Way of Central Maryland as Planned Giving and Foundations Officer. In that capacity, he applied his highly developed skills in grant writing and solicitation to produce millions of dollars in new support for United Way. He also initiated a new planned giving program for building the United Way endowment. Errol holds Master of Divinity and Doctor of Ministry degrees from Wesley Theological Seminary in Washington, DC, where he taught homiletics over a period of 26 years. He has also served on the faculties of the College of Notre Dame of Maryland and Loyola College of Baltimore. He is the editor of one book, and the author of another book and numerous articles for professional journals.